Dave. Calm down mate, your gunna blow a fuse of your own if you carry on like that. No, don't calm down Dave. The louder you are the faster Extech will respond. Exactly. This is a big safety issue and Extech need to fix it. You can't sweep these things under the carpet. 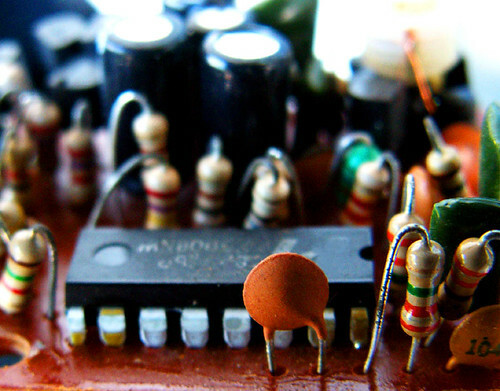 There's a common practice in N. America for designing grounding (earthing) prongs called "first make, last break" which basically means that the ground (earth) prong, being responsible for preventing shock hazards, must be the first to make contact and the last to break contact when plugging in or unplugging any kind of device. The same concept should apply to any safety switch in a tester like this. If that switch is what was responsible for creating the hazard condition, the designers obviously never heard of this concept and completely didn't do their job correctly and I'm very surprised that the tester would actually get a CAT III rating. Dave's idea to have it default to high voltage mode would be a much better solution. Kudos to ya, mate! As I always say.. Keep doing what your doing Dave. Finally we saw the real Dave in the end there when he stamped on the meter. That whas truly a idiot design just to rely on a pushbutton and a internal bad functioning switch. are you going to send the meter to Extech with the footprints on it? The only good thing is that you still alive and hopefully they redesign the meter.. I can't believe such a dangerously flawed design is on the market!!! My God! Only one switch spacing away from blowing up an IC with 240V!! And how on earth was that a CAT III multimeter, not exactly a $10 jobbie either! 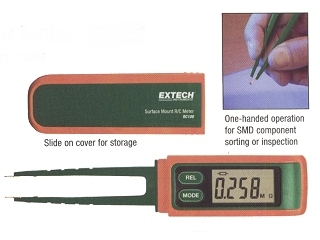 I've just taken a look at the IC datasheet again and I noticed that date of it was 15th April 2010 ( or at least that's how I interpret 10/4/15 on each page ) If that IC was so new to the market then Extech must have been too hasty in putting the meter out? I'd rather see bad products get blown up with that massive PSU that you used to blow up those multimeters. This an example of when using questionable meters to worry if they are good for mains voltage or not, which is just CAT II. Although one can expect more from Extech, there are safer meters on the market with decade long reputation. Why settle for less? The blow up and flash portion focused near the rubber orange switch, and while shrapnel won't be lethal, it could cause problems with your hand if shards need to be removed. Also, the input protection was completely bypassed, so it was useless for protecting this fault, the chip itself seems to have blown. Given these, a tweezer adapter for use on any DMM is a better option than worrying about DMM LCR tweezer devices. Even worse, this was probably just a regular 230/240V input, not even the 2kV or so transient specified by CAT II 600V (let alone CAT III). Just a note, I believe this was a tweezer type DMM, not LCR meter. I don't typically connect LCR meters to mains, so input protection for LCR meters is less of an issue in my opinion (although it should meet its specified CAT ratings). Correct. This meter is designed and manufactured as a proper DMM to measure mains voltages. It was supposed to be completely safe, but a design goof-up. I have one of these, but a different colour and branded Tenma. Can't remember if it actually came with the probes. On the battery compartment there is a label that says "Danger Measure Over 35V" - I'm guessing this may just mean don't poke a finger in the bat compartment when live...! I think the root (Sorry I know this word has other meanings Down Under!) problem here is unnecessary specmanship in providing a high voltage capability at all. There is no reason that a simple product like this, which is primarily aimed at component testing, should even be specced to be able to measure mains voltages. By all means provide 4mm sockes so you can use probes or a jig, but mark it clearly as only suitable for low voltages. It isn't a general purpose DMM and nobody is going to buy it as one. I really don't think many potential purchasers of a device like this would decide not to buy because it didn't have a high voltage range. ..and I don't believe that switch (which is just a sliding contact over PCB pads) has sufficient creepage/clearance to be used as a safety isolation component either. This is great, Dave, not only was the show entertaining, you found something they missed in testing, and will likely benefit them from dealing with returns on damaged goods, or worse safety litigation, so I hope you get more than a new meter to play with! Alm, my bad, I didn't meaning plugging an LCR meter into the mains, but another Extech clone, the Tenma as mike mentions. I agree fully with Mike's analysis. If I were to buy such a thing, it would be a cheap alternative to the more ergonomic Canadian tweezer, so making it also DMM capable and having to deal with mains protection, and when there are far better DMMs to do such a thing well, just made a potentially good device, bad. Extech have offered the RC100 RC meter for review but I turned them down. I already have another two Extech products to review (3 if you count the LCD microscope that's supposed to be on it's way), I didn't want the blog to become the "Extech Show". Some people have missed the point here I think. The meter was supposedly designed and tested to be CATIII 600V rated. It was simply the bad design of the interlock switch that causes it to fail under certain circumstances. So there is nothing inherently wrong with the concept of having a RC/Tweezer type meter with interchangeable high voltage probes. Yes, the unit has that sticker you refer too, and I too assume it only applies to the battery compartment. When the unit is sealed and the high voltage probes attached properly the unit is supposed to be completely safe for use on high voltages. I looked up the tenma probe. (http://www.mcmelectronics.com/product/TENMA-72-8485-/72-8485) Externally it looks identical to the extech model. The Tenma model do not claim any kind of CAT rating. Extech LCD microscope? Going to check for viruses in chips? They can't be seriously asking $299.99 for that stuff??? Sometimes I have trouble seeing some of the numbers on IC's and SMD components, I just use a $10 pair of reading glasses. As always, it's horses for courses. Does the Nikon have 7-27 times optical zoom and live display for inspecting parts and joints? Is the Nikon small enough to just sit on the bench and be used one hand inspecting a board for long periods? Does the Nikon have a continuous illumination light? Can the Nikon give you live imaging on a PC screen? The Extech is not a digital camera, and the Nikon and other digital cameras are not hand held inspection microscopes. Whether or not it's actually useful I will reserve judgment until I actually play with it. I have to admit that when I was a few months away from turning 40, I noticed a fast degradation of my eyesight. I haven't had time for a few years to make any models (the scale kind...) but I'm a little nervous about it now and something like this camera might be needed sooner than I think.